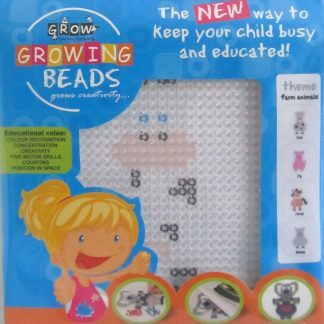 Growing Beads help children to improve concentration in a fun way. 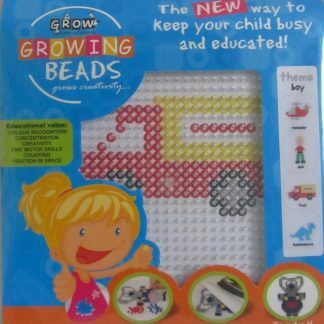 It guarantees hours of fun and improves fine motor skills, colour recognition, sorting and hand eye coordination. 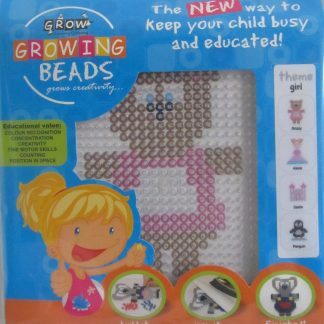 Growing Beads are built on a see-through pegboard. A design is placed under the pegboard to guide the child. After these pictures are built, the arrangement can be fused together with a hot iron. Display these colourful designs throughout your house or convert them into key rings or birthday cards.